In late April, just when property owners were touching up their landscaping strategies, illusionist and entertainer Penn Jillette, one half of the famed Penn & Teller duo, made a major change of his own. 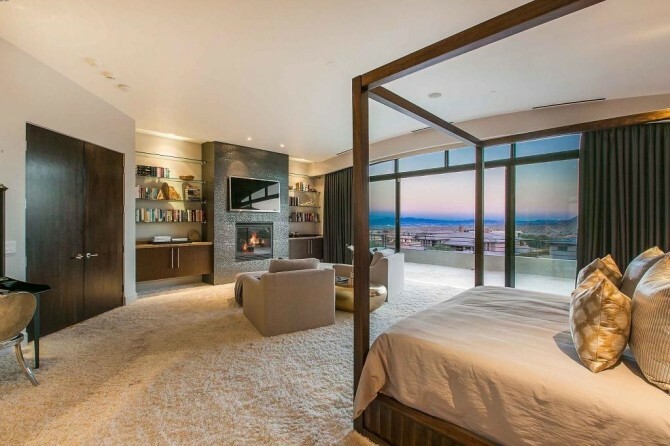 He bought a 7,808-square-foot mansion in Las Vegas for $3.8 million – and it is outstanding! Nothing bland is to be found in this two-story residence. Not the facade of windows that have front-row seats to desert mountain views and the famed Strip. Not the two-story great room with one – sorry two – fireplaces, and certainly not the swimming pool with the waterfall feature and adjoining hot tub. Most patios and outdoor parlors are outfitted with fireplaces and plush, elegant seating. 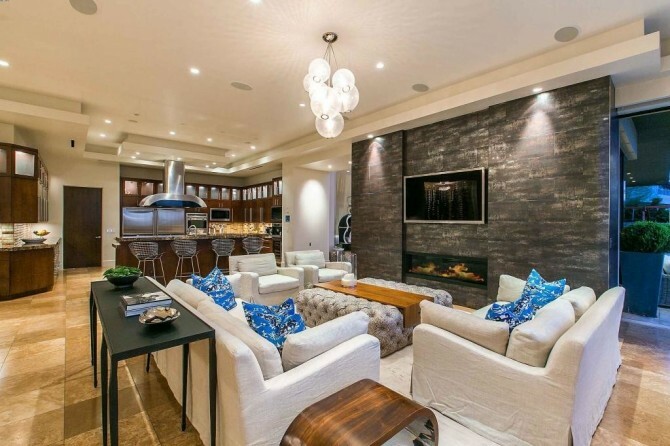 This property has those too, but the big-screen television takes it up a notch and practically creates a bonus, al fresco great room. But on to practical matters. Inside, the kitchen beckons from the back corner of the cavernous open floor plan, and it has enough room for guests to sit while chatting up the busy chef. 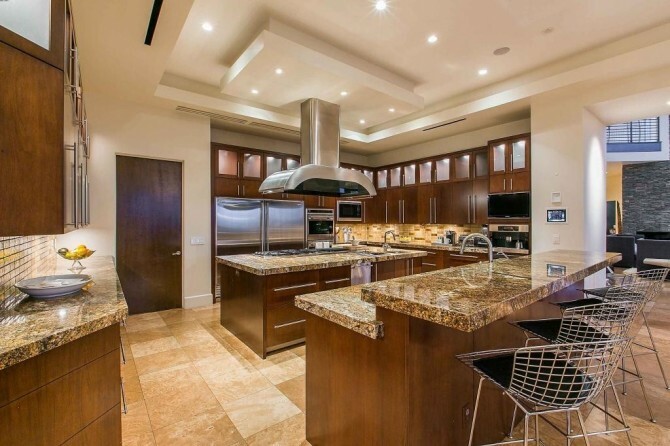 There is a two-tiered breakfast counter, and beyond that a cook-top island with prepping sink. That leaves loads of free countertop space behind it, especially because the ovens, refrigerator, and other heavy appliances are installed in the walls. The house offers five bedrooms and seven bathrooms. It sounds very nice and all on paper, but the master suite also has double bathrooms and closets, and an oversized Jacuzzi tub, plus access to a balcony, according to Zillow. Jillette's newest acquisition is located in The Ridges, according to listing information from the Shapiro & Sher Group. While information on the house did not mention a gym, The Ridges is an uber upscale gated community with access to a top-notch, 9,000-square-foot fitness facility. Word has it that Jillette will now list his bachelor pad of a house, which he nicknamed "The Slammer." Interesting choice of words (it is Penn, of course), and the new house is definitely a nice place to escape. Donna Mitchell is a financial journalist. Before writing about luxury homes for Celebrity Net Worth, she covered the commercial and residential real estate markets for industry publications. She is a native – and lifelong resident – of New Jersey.